The Ultimate Farmer’s Market Veggie Sandwich. 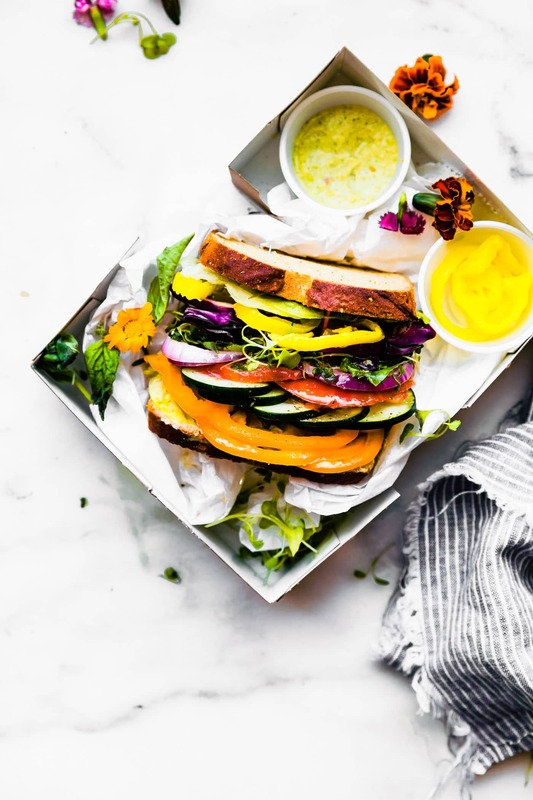 It’s all of your favorite seasonal vegetables piled high atop gluten free bread with fresh basil leaves and a vegan pesto. A nut free and dairy free sandwich recipe perfect for lunch boxes, quick vegetarian dinners, and on-the-go snacking. 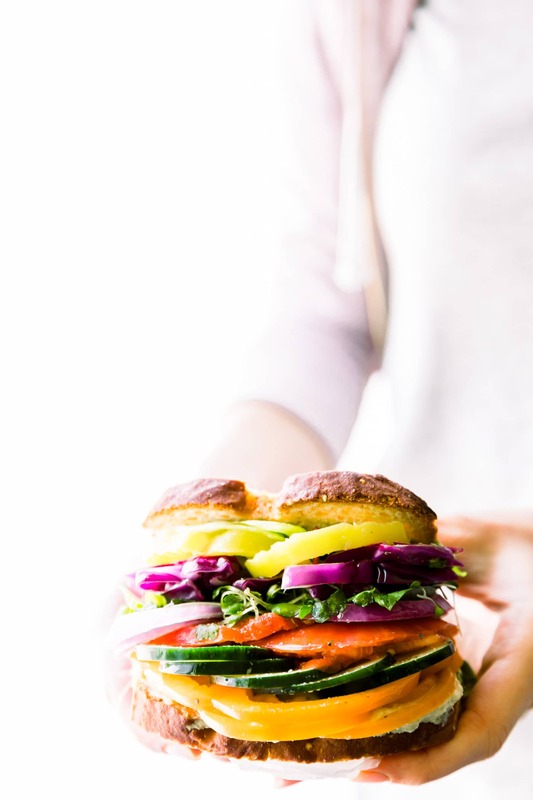 Lettuce turnip the beet with this Farmer’s Market veggie Sandwich! Oh gosh, I totally shouldn’t get credit for that intro. It was all Alex’s idea, my project manager. It’s like she just know corniness factor is it an all high! Haha. Anyways, let’s REALLy talk here. We have this ultimate seasonal veggie sandwich that’s more than just a sandwich. There’s a backstory, there’s a purpose, there’s a cause, there a delicious and nutritious outcome. Are you ready for it? YES! What is a Farmer’s Market Veggie Sandwich (Sammie) you might say? 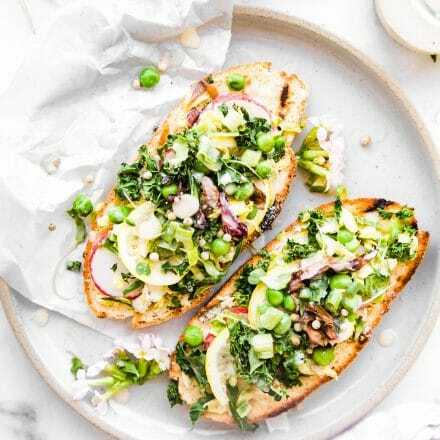 It’s all of your favorite summer vegetables piled high atop gluten free bread with fresh basil leaves. Smother on some creamy, protein-packed, nut-free, edamame pesto for the perfect gluten free sandwich filling. 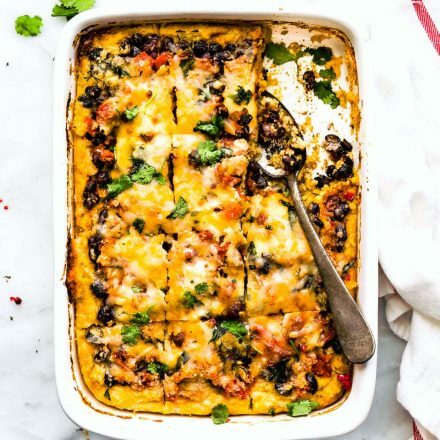 Another dairy and nut allergy friendly recipe perfect for packed lunches, quick dinners, and on-the-go snacks. Plus it’s ohhh so pretty, right? Cucumbers: Real hydration in edible form! Fresh Herbs to boost anti-oxidant levels! Bell Peppers: Help reduce inflammation in the body and rich in vitamin C! Gluten Free/Nut Free/Dairy Free Bread – Rich in fiber and B Vitamins! Vegan Plant Based Pesto: Packed with plant based protein, fiber, and iron! You see, I told you this was the ULTIMATE VEG FEST! Now, as much as I love a good nerdy nutrition talk, I’m moving on. Because this is the part I truly want you all to stop, read, and take in. It’s NEAR and DEAR to my HEART! It’s time to get a little nostalgic. So grab a veggie sandwich or two for the road, buckle up, and let’s take a trip down memory lane! You see, back in the day (8 years ago), I volunteered at the gluten free expo in Dallas. I was there to help answer any nutrition questions as a gluten free nutrition specialist. I was also handing out samples at a gluten-free company’s booth. Most of the kids that visited our booth that day were absolutely distraught because they thought they couldn’t eat the yummy samples; they were so accustomed to “missing out” on the delicious food their peers ate, due to their food allergy restrictions. The look on the kids’ faces when their parents told them that they COULD sample the food, that they could have ANYTHING at the expo that day…priceless. Giving these kids and families resources and products that they could eat that look and taste the exact same (if not better) than what they felt like they had been missing out on all those years was so wonderful. Experiences like that one (in particular) are a huge driving force behind why I do what I do. Don’t get me wrong, I love creating and “cotter-izing” recipes (okay was this the worst pun ever? ), but it can be difficult for a family when a dietary restriction is put in place, when an allergy is discovered, when a disorder is diagnosed…it can be so hard and overwhelming to know where even to “start.” Does this sound like something you or someone close to you has gone through? Well no need to fret. You can stay cool as a cucumber because I have some cool news. 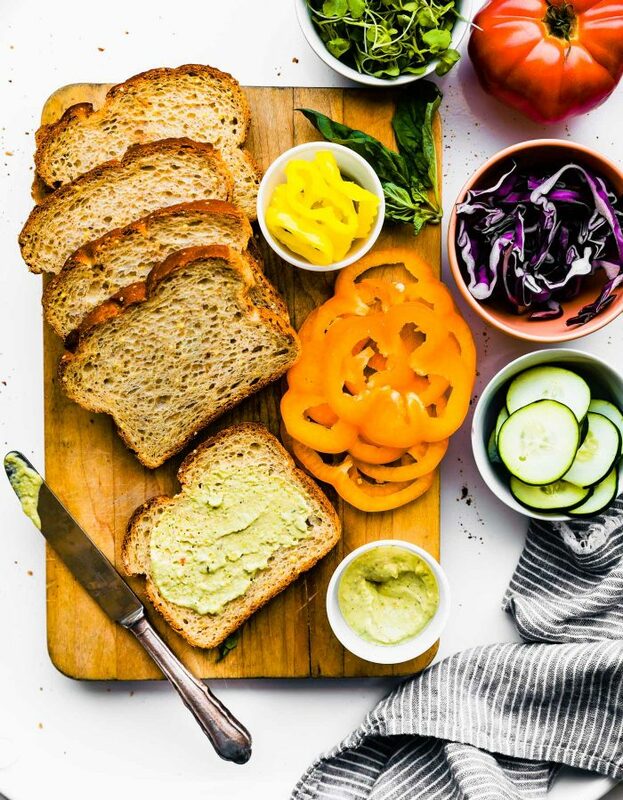 This Veggie Sandwich recipe is supporting Autism Awareness! And we need your help! When Canyon Bakehouse approached me to be a contender in their annual Sammie Smackdown for charity, my thoughts went to situations like those above. It’s why I chose Research Autism to be my charity to partner with! I would so love to donate $10,000 to this cause. 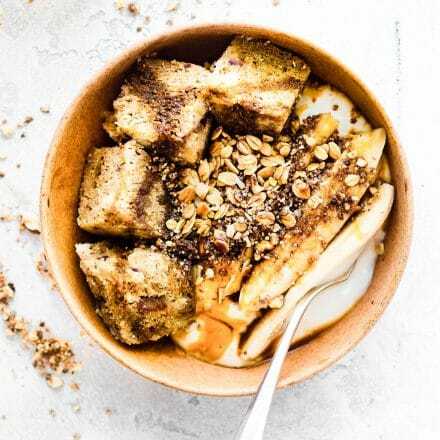 Studies have shown that eliminating gluten and dairy in your diet and focusing on REAL and NOURISHING foods can help with disorders, such as autism. So what better for kids (and adults too!) with special nutrition and nourishment needs than a SANDWICH. Perfect for packed lunches or summer picnics, quick dinners, and on-the-go snacking. Seriously, I promise that was my last pun. I blame Alex. Now, let’s jump the easy peasy sammie recipe and get this shindig going. Sound good? The Ultimate Farmer’s Market Veggie Sandwich. It’s all of your favorite seasonal vegetables piled high atop gluten free bread with fresh basil leaves. Nut free, dairy free! Edamame Soy beans (without shell), oil, garlic, lemon, herbs of choice, sunflower seeds, salt/pepper, and red pepper flakes. 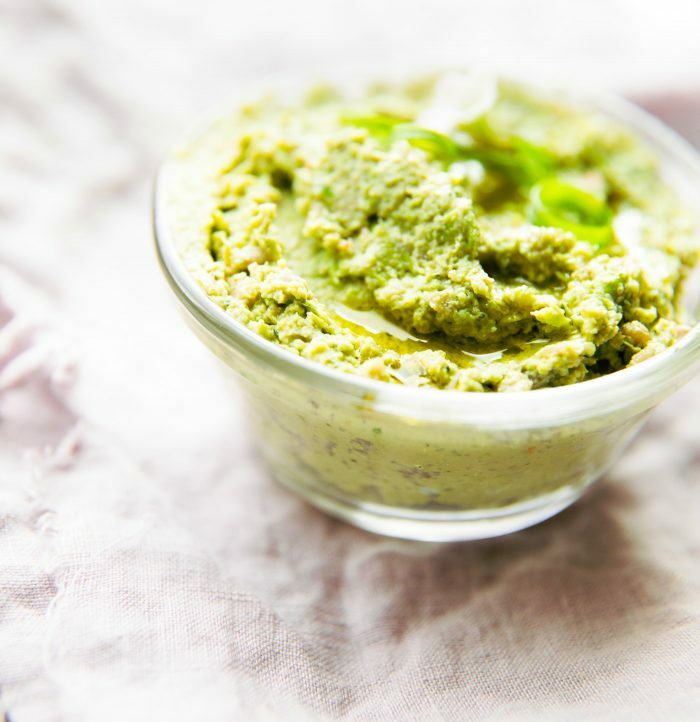 First Make you edamame pesto by blending all the ingredients together in a food processor. If you don’t have time to make the pesto (which is super easy and fast) then feel free to use any flavor hummus. Make sure all your vegetables are sliced then or chopped. Feel free to toast your bread as first as well. Then start layering your veggie sandwich. The key to start with the edamame pesto first. Spread one table on each piece of bread. Start with one piece of bread as bottom layer, then add your cucumber and remaining ingredients. The banana peppers should be last before the oil/vinegar. Then Drizzle with olive oil/vinegar combo 1/2 tbsp each or so. Add a bit of Sea salt and cracked pepper. Top with fresh sprouts and the close it up with the other piece of bread. Feel free to use any other seasonal veggies! Load it up! I also like to add a little splash of lime or lemon. Keywords: sandwich, healthy, gluten free, vegetarian, meatless, dairy free, vegetables, nut free. If you’d like to support Autism Awareness, PLEASE PLEASE go vote here for the ULTIMATE FARMER’S MARKET SAMMIE so we can win 10K for this charity. It would mean the world to me (and the Cotter team). What’s your favorite type of veggie sandwich? Which Charity is near and dear to your heart? I’d love to know which ones and your story behind it. The greatest veggie sandwich I’ve ever seen! Seriously. And such a great cause. This is the perfect summer sandwich Lindsay! Love all those gorgeous veggies and that edamame pesto sounds delish! Amazing cause, such a creative sandwich, this absolutely gets my vote! What a delicious, fresh sandwich! Love this sandwich so much and good bread is everything in a sandwich! Such an epic and healthy sandwich! You’re soooooo punny!!! Love the sammie, the cause, and Canyon Bakehouse. I could go from some more veggies after vacation. Whew. This is summer in a sandwich! 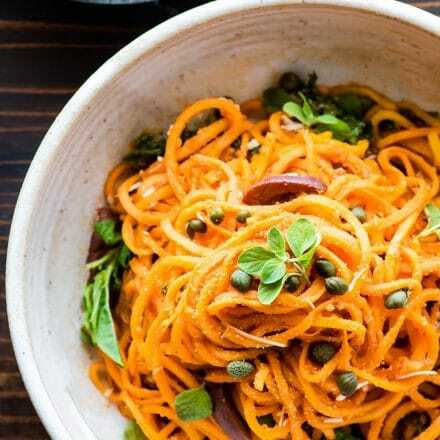 Love how fresh and colorful it is – and I must try that pesto! Yum, yum, yum! Love the fresh veggies and that pesto – so great! I’m not a vegetarian, but I do love a good veggie sandwich every now and then. This one looks epic! And what a worthy cause. That bread tho! I’ll be on the lookout for it between creating my own sourdough GF bread… it’s a labor of looove! This sammie is everything Linds! Well done… now I’m off to vote! Woot! Swoon….for the sandwich and the cause. 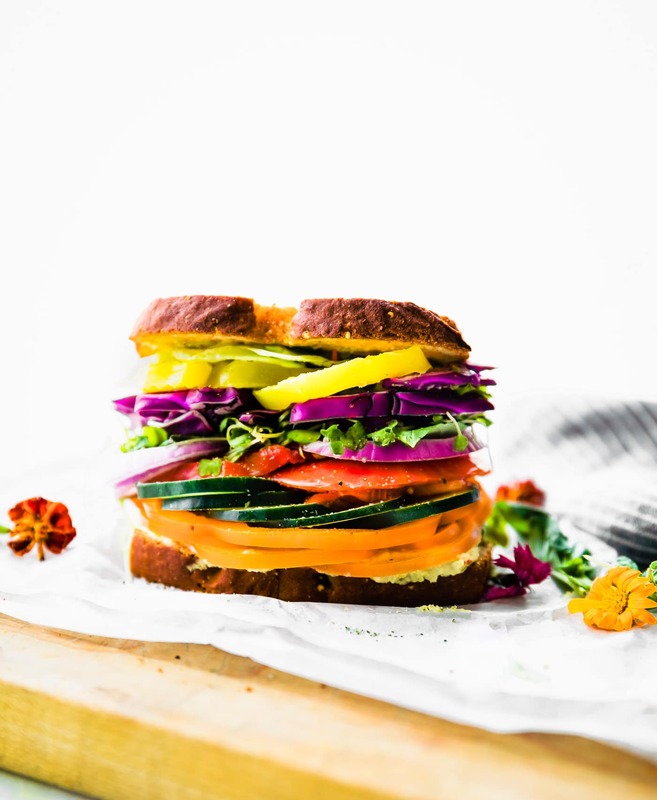 A big rainbow colored sandwich for a good cause…I’m in! Beautiful work, friend! XOXO! I just LOVE all the gorgeous veggie colors! Thanks friend. 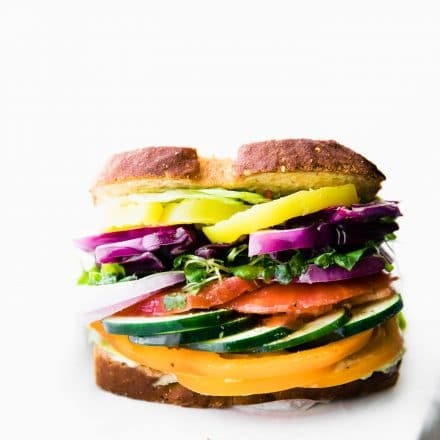 Yes, those veggies make for one beauty of a sandwich! This is the prettiest sandwich I’ve ever seen! Just look at those colors!! Ok, I don’t usually just do veggies on sandwiches, but this is BEEEAUUTIFULL Lindsay! I hope it wins the contest. That’s such a wonderful cause. So much of God’s awesome color on there. I LIVE for this Sammie!